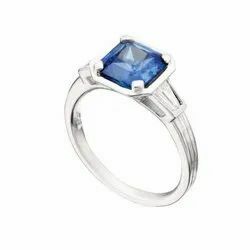 Leading Manufacturer of natural blue sapphire ring, natural blue sapphire pendants, blue sapphire ring, natural blue sapphire ring (neelam), neelam natural blue sapphire and natural blue sapphire (neelam) from New Delhi. 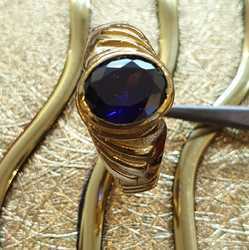 Supported by a team of dexterous designers, we have been able to offer Natural Blue Sapphire Ring. Wearing a Neelam Gemstone makes a person hardworking and disciplined. It helps make one detached, and protects against envy. It can be worn for good luck and for protection against evil spirits. 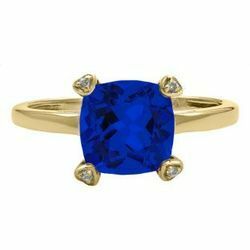 Fostered with a team of brilliant professionals, we are busy in offering a broad assortment of Natural Blue Sapphire Ring. Our offered products are cut & polished in such a prompt way that they are able to cater various needs of our clients. As our offered products remain in great demand across the country, they are made available in various sizes and other specifications. In addition to this, these are stringently examined against various parameters in order to provide a defect-free array at clients' end. 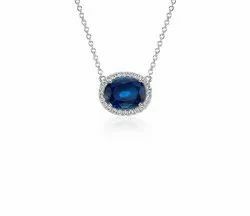 Clients mostly preferred to purchase highly quality products, so we are engaged in providing a wide range of Natural Blue Sapphire Pendants. Blue Sapphire Gemstone is exclusively used as diamond substitutes in jewelry and admired in several regions. 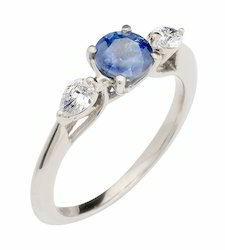 Blue Sapphire Gemstone is known for their elegant looks and available in bulk in the market. Sapphire is the most precious and valuable blue gemstone. It is a very desirable gemstone due to its excellent color, hardness, durability, and luster. In the gem trade, Sapphire without any color prefix refers to the blue variety of the mineral Corundum. Blue sapphire is also called so many names like Nilam, Neelam, Indra neelam, Dark neela, Kurubindom etc. Important Sapphire sources include Sri Lanka, Burma (Myanmar), Thailand, Cambodia, Madagascar, Tanzania, Australia, and the U.S. (Montana). Sapphire is the most precious and valuable blue gemstone. It is a very desirable gemstone due to its excellent color, hardness, durability, and luster. In the gem trade, Sapphire without any color prefix refers to the blue variety of the mineral Corundum. Blue sapphire is also called so many names like Nilam, Neelam, Indra neelam, Dark neela, Kurubindom etc. Important Sapphire sources include Sri Lanka, Burma (Myanmar), Thailand, Cambodia, Madagascar, Tanzania, Australia, and the U.S. (Montana). 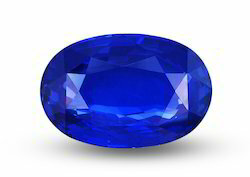 The Kashmir region of India/Pakistan was famous for its Kashmir-blue Sapphire. Stone Name Nilam, Neelam, Indra neelam, Dark neela, Kurubindom etc. Sapphire is the most precious and valuable blue gemstone. It is a very desirable gemstone due to its excellent color, hardness, durability, and luster. In the gem trade, Sapphire without any color prefix refers to the blue variety of the mineral Corundum. 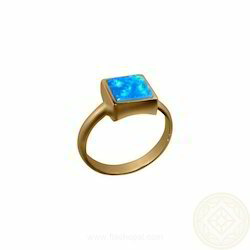 Natural Blue Sapphire Ring (Neelam) is a gemstone, a variety of the mineral corundum, an aluminium oxide (α-Al2O3). It is typically blue in colour.we can called it different names like: Nilam, Indera neelam, neelam, dark neela,kurubindom etc. Blue sapphire is a very desirable gemstone due to its excellent color, hardness, durability, and luster. In the gem trade, Sapphire without any color prefix refers to the blue variety of the mineral Corundum. 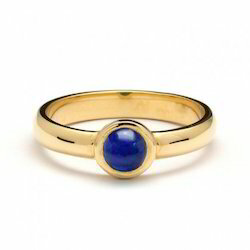 According to Vedic Astrology Blue Sapphire represents the planet Saturn [ Shani ]. It's a very effective Gemstone. It is said that if blue sapphire Gemstone gives good effects to wearer can achieve huge success in life. Sapphire is the most precious and valuable blue gemstone. It is a very desirable gemstone due to its excellent color, hardness, durability, and luster. In the gem trade, Sapphire without any color prefix refers to the blue variety of the mineral Corundum. Blue sapphire is also called so many names like Nilam, Neelam, Indra neelam, Dark neela, Kurubindom etc. Sapphire is the most precious and valuable blue gemstone. It is a very desirable gemstone due to its excellent color, hardness, durability, and luster. In the gem trade, Sapphire without any color prefix refers to the blue variety of the mineral Corundum.Blue sapphire is also called so many names like Nilam,Neelam,Indra neelam,Dark neela,Kurubindom etc. Important Sapphire sources include Sri Lanka, Burma (Myanmar), Thailand, Cambodia, Madagascar, Tanzania, Australia, and the U.S. (Montana). The Kashmir region of India/Pakistan was famous for its Kashmir-blue Sapphire. According to Vedic Astrology Blue Sapphire represents the planet Saturn. It's a very effective Gemstone. 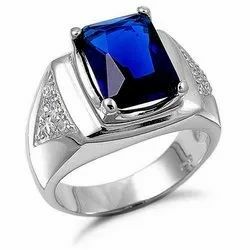 It has many name like : blue sapphire, nilam, neelam, indra neelam,dark neelam, kurubindom.Blue sapphires. 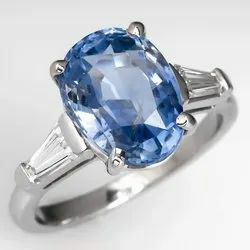 It is said that if blue sapphire Gemstone gives good effects to wearer can achieve huge success in Wearing a Neelam Blue Sapphire Gemstone Birthstone can bring the wearer wealth, fame, a good name, health, happiness, prosperity, a long life, mental peace and Newer opportunities. Neelam Blue Sapphire is an Excellent Gemstone for Aquarius / Capricorn Rashi Persons life. Neelam Natural Blue Sapphire removes evil effects of Saturn. 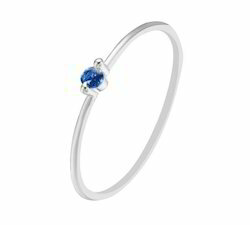 It is said that blue sapphire has the magical power to elevate its user to a higher status from all sides. However there is a caution. Sometimes this stone may react adversely. 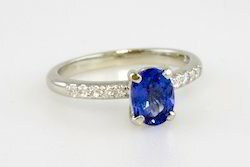 It is suggested that Blue Sapphire should be tested for one week before final wearing. It could give you everything you could desire such as health, wealth, longevity, happiness. It also restores lost wealth and property. Can improve fertility in a barren woman. 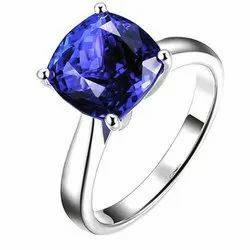 We are offering Natural Blue Sapphire (Neelam) and we are the best seller among the competitors.Blue Sapphire is an extremely powerful stone.Blue Sapphire also protects the wearer from misfortunes, accidents, unexpected & natural calamities, and guards one from unforeseen risks & dangers. This Gem stone guards one from all evil, purifies the mind and increase flow of positive energy and thought. Jaipur gemstone sell Natural Blue Sapphire Gemstone. We are not sell colour treatment or glass filling. 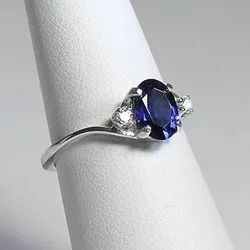 Natural Blue Sapphire Neelam Ring availablein jaipur gemstone.Wearing a Blue Sapphire that has flaws can lead to accidents, health problems and fall from grace. It is extremely beneficial for business and trade. if Sapphire Gemstonesuits you, Them it will shower riches and prosperity in your life. Blue sapphire called Neelam in hindi is a blue colored precious gemstone and is considered the most powerful stone of all. Blue sapphire help you extract the maximum out of every favorable situation. it sends fortune, luck and auspicious situation to your way. It is extremely beneficial for business and trade. if blue sapphire suits you, Them it will shower riches and prosperity in your life. Jaipur Gemstone sells original blue sapphire ,natural blue colour, natural luster. 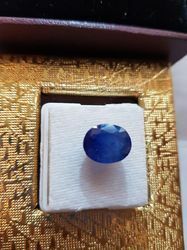 Natural Blue Sapphire Ring sri lanka ceylon neelam igl lab certificate.These are highly appreciated for their durability, great luster and amazing look. The offered stones are used for astrological purpose and also in jewelry making. These are available in various cuts and sizes as per the various requirements of our clients. Further, these are designed with high precision in order to meet the quality standards. Further, the offered range is available with us at the most competitive prices. Banking on our professionals we are providing Natural Blue Sapphire Ring at reasonable rates to our clients. Jaipur Gemstone sells natural blue sapphire neelam at wholesale rate. Sri Lanka Blue Sapphire ceylon neelam igl lab certificate. Sapphire is corundum, the same type of mineral as ruby, except that it is not red. Sapphire is famous for its blue color, but it also comes in many other colors, such as orange and pink. They are called fancy sapphires. There are also color change sapphires which change color under different lighting. 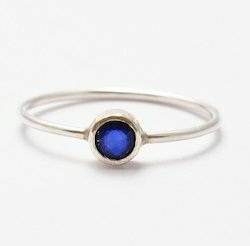 Some sapphires even show a phenomenon called asterism. A star appears on the face of the stone. Blue Sapphire (called Neelam in hindi ) is a blue colored precious gemstone and is considered the most powerful stone of all. 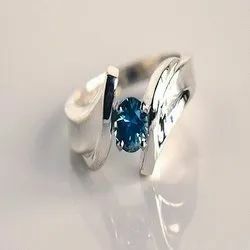 Blue sapphire is a veriety of corundum, an aluminium oxide mineral that forms in prismatic tabular, bipyramidal or rhombohedral crystal, as well as granular or massive habits, and may be transparent to opaque . Low iron content in Golden sapphire if intensely colored.The name corundum is of Indian origin, derived from the sanskrit korund and applied to opaque massive Gems, generally of a dull color or dark color. 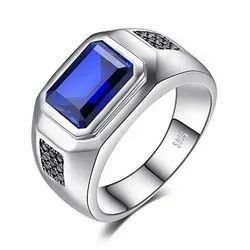 At Jaipur gemstone, all the meanings and the shine of blue sapphire is combined with many alloys, other gemstone and colours to reveal blue sapphire jewellery of rings and so on. Jaipur gemstone supplies the most special Gems in high quality according to the 4 C's of Cut, Color, Clarity and Carat weight for maximum beauty. What distinguishes it from other sapphires is that blue sapphire of high quality does not have any visible inclusions while sapphire can have several interior inclusions. 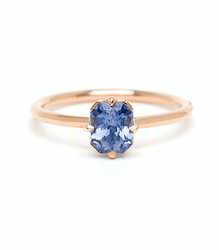 blue sapphire is primarily mined in serendip, The Island of Srilanka. That gem-rich Island is the first place where blue sapphire was Found. Neelam in gurgaon, natural neeam ni gurgaon, blue sapphire in gurgaon, natural blue sapphire in gurgaon. Sapphire is the most precious and valuable blue gemstone. It is a very desirable gemstone due to its excellent color, hardness, durability, and luster. In the gem trade, Sapphire without any color prefix refers to the blue variety of the mineral Corundum, Blue Sapphire is one of the classic colored gemstones and is always in fashion. It is valued for its vivid color, its excellent hardness and its rarity. Collectors and investors search out particularly fine specimens, which have historically increased in value over time. Blue sapphire colors range from pale blue to cornflower blue to royal blue, navy blue and midnight blue. The main sources are Sri Lanka (Ceylon), Burma (Myanmar), Madagascar, Tanzania, Australia and Thailand. At one time exceptional sapphires came from Kashmir, but no new material has been found there for about 100 years. 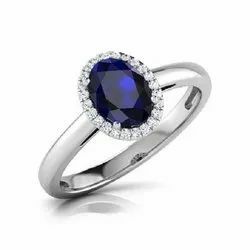 Natural Blue Sapphire Ring (Neelam) is one of the classic colored gemstones and is always in fashion. It is valued for its vivid color, its excellent hardness (9 on the Mohs scale) and its rarity. Collectors and investors search out particularly fine specimens, which have historically increased in value over time. Blue sapphire colors range from pale blue to cornflower blue to royal blue, navy blue and midnight blue. The main sources are Sri Lanka (Ceylon), Burma (Myanmar), Madagascar, Tanzania, Australia and Thailand. At one time exceptional sapphires came from Kashmir, but no new material has been found there for about 100 years. 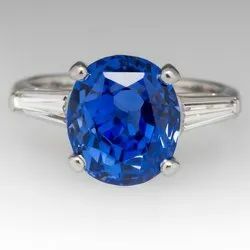 The prices and value of blue sapphire vary depending on the size and quality of the gemstone. Owing to our expertise in this domain, we are engaged in manufacturing, trading and supplying an excellent quality array of Natural Blue Sapphire Gemstone. We rule the industry in offering an exclusive range of Blue Sapphire Stone. We provide this stone in various qualities and sizes, keeping in mind varied necessities of our clients. Mainly used for designing jewelry items, this stone is available with us at market leading rates. Natural Blue Sapphire is the most precious and valuable blue gemstone. It is a very desirable gemstone due to its excellent color, hardness, durability and luster. In the gem trade, Sapphire without any color prefix refers to the blue variety of the mineral Corundum. Sapphire is the most precious and valuable blue gemstone. It is a very desirable gemstone due to its excellent color, hardness, durability, and luster. In the gem trade, Sapphire without any color prefix refers to the blue variety of the mineral Corundum. Such a stone will bring the wearer wealth, fame, a good name, health, happiness, prosperity, a long life, mental peace, and good children. Wearing a blue sapphireprotects against danger, travel problems, terror, thieves, accidents and problems from storms, fire, or natural disasters. Owing to our expertise in this domain, we are engaged in manufacturing, trading and supplying an excellent quality array of Blue Sapphire Gemstone. Amethyst Stone is the rerest form of quartz and possribly the most popular from of quartz in the World. IT'S a fairly hard Gem, has six sides and can be found within geodes all across the globe. Amethyst crystal have been associated with royalty. The Crystals have also been used for a variety of health conditions throughout the ages, ranging from alcohol addiction and sleep disorders to pain and mantal dysfunction. while research has yet to conclude that amethyst actually helps decrease symptoms associated with these health issues, emerging data displays amethyst as a powerful compound possibly helpful for detoxification. 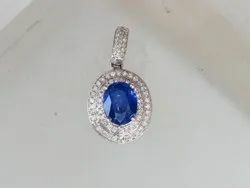 We provide the original Natural Blue Sapphire Pendants (Neelam) and we are the best seller of these products to the customer at the competitive prices. Blue sapphire in gurgaon, neelam in gurgaon, Natural blue sapphire in gurgaon, natural neelam in gurgaon. Our organization is highly acclaimed in offering Natural Blue Sapphire Neelam Pendant to our clients. 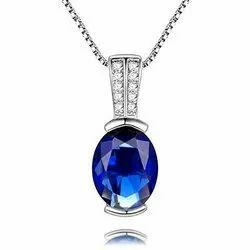 We offer Natural Blue Sapphire Pendants at the most competitive prices in the market.These are available in various cuts and sizes as per the latest market trend. Further, these are designed with high precision in order to meet the quality standards. 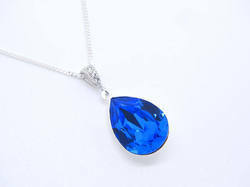 We are providing Natural Blue Sapphire Pendants to our clients. 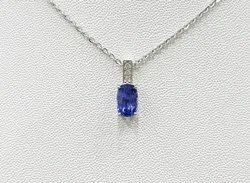 We are offering Natural Blue Sapphire Pendants (Neelam) and we are the best seller among the competitors.Blue Sapphire is an extremely powerful stone.Blue Sapphire also protects the wearer from misfortunes, accidents, unexpected natural calamities, and guards one from unforeseen risks dangers. This Gem stone guards one from all evil, purifies the mind and increase flow of positive energy and thought.